I decided to organize my life by creating a planner binder. Here's my Pinterest board full of free printables, ideas, great page to buy, etc. Oh man, I went into this full-speed ahead. My new binder is a lovely lime green with pretty coordinating tabs and awesome full-color daily pages covering house cleaning, exercise, blogging, sewing, homeschooling, scouting, and more. I was good to go! And then reality bit me in the rear ... I barely have time to sit down during the day, I don't have time to sit down with my binder. Plus, some of the things I do that previously had their own binder no longer did ... and I was kind of lost. Sigh ... my pretty planner is now set aside and I'm back to doing things by the seat of my pants (which actually works alright around here). Congratulations to the winners of the Purex Crystals coupons: Julie, Erica, and Cheryl. I'm going to be totally honest here ... I'm obsessed with Purex Crystals. They really do work. I had to wash my quilt yesterday and didn't have any more of the Crystals to toss in, my quilt does not smell as nice as it did last week. I see a purchase of Purex Crystals in my very near future. 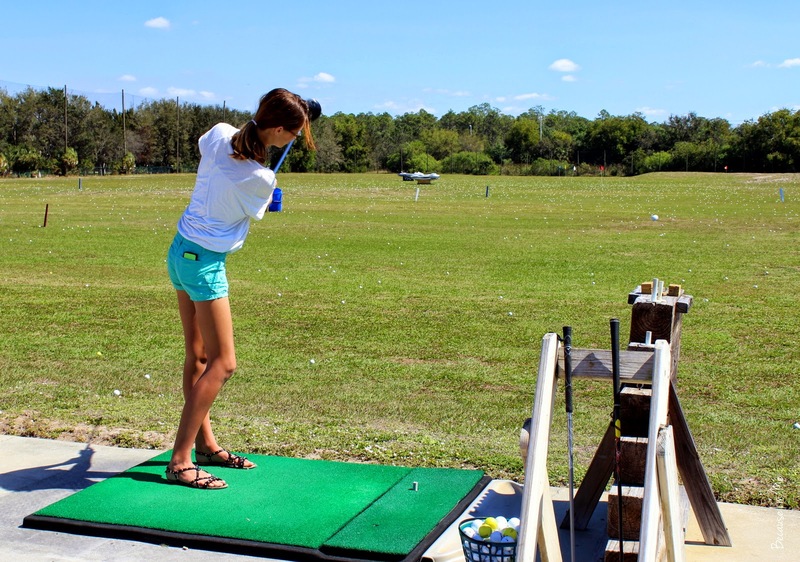 We went to the driving range a few weeks ago with some friends. A first for us, because Miniature Golf doesn't actually count. 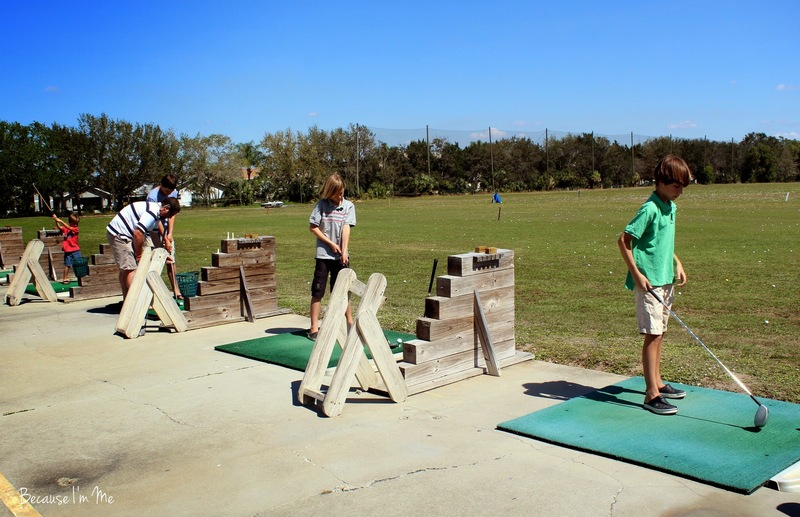 I figure I need to learn how to golf so I have something to do in my old age (it is the "in thing" down here -- actually, old age is kind of the "in thing" down here too, at least in the winter). We have A LOT to learn but had a great time. Last week the kids and I went to the circus. I've decided that I need a trapeze and that that will solve all my fitness problems, the trapeze artist was amazing in her strength and control. I'm fairly certain my trapeze love will quickly fall by the wayside with my planner love. After determining the camper has an axle issue we took it camping anyway - to Fort Wilderness at Disney World over Spring Break. Definitely not the camping I'm used to, but a lot of fun! We didn't go into any of the parks, but the kids loved the Disney atmosphere at the campground and downtown Disney. The highlight of the weekend may well have been riding the monorail, we had the car(?) to ourselves and had a great time. The camper survived the trip, I'm still going to have it looked at and am keeping a close eye on the tires, but have decided there are many local trips in our near future. Oh, I don't think I've mentioned this - I didn't want to spend $60 on a fire pit so I went to Lowe's and bought a large washtub. I drilled some holes in the bottom of it and placed it over a few paver bricks I had in the back yard (thinking air circulation). Viola - awesome $17 fire pit! Perfection. Lastly, I've been in the mood to sew quilts lately. I'm looking forward to summer when the kids don't have school and I might have some time to do some "fun" sewing. Please share any awesome quilt ideas you've got! Looks like lots of good stuff :) I love your posts. LOL about your planner--exact same stuff happens with me.